Directions: Use the digits 0 to 9, exactly once each, so that each expression is simplified to a different odd number. Consider which numbers are easier to use/place. 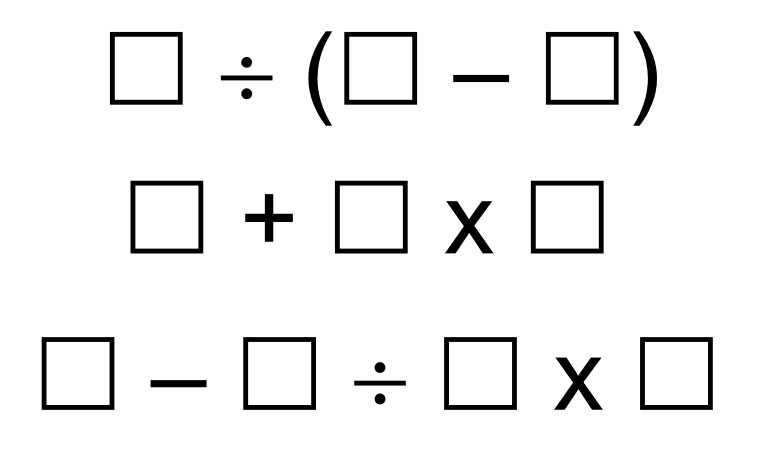 Are there certain operations that have more constraints if we’re trying to get a whole number as a result of the expression? There are many different solutions to this problem. Is the intent to use each number only once in the ENTIRE set?